The Hong Kong Polytechnic University Library website is created with special attention to the accessibility requirements of different users. 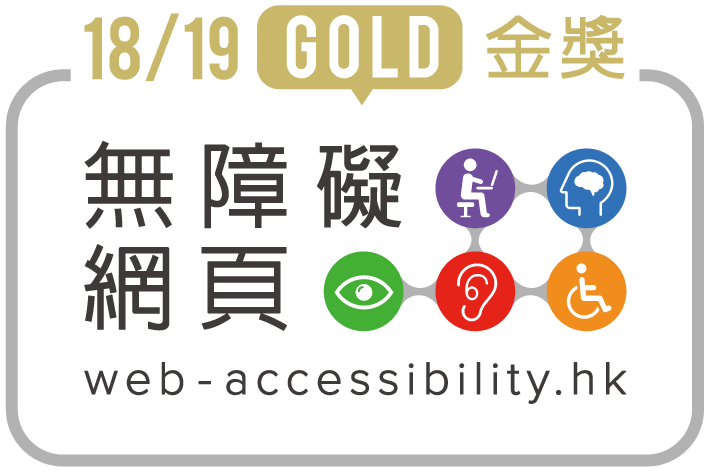 Our design has been developed with reference to the World Wide Web Consortium's (W3C) Web Content Accessibility Guidelines (WCAG) 2.0 standard, and also attained the Gold Award in the Web Accessibility Recognition Scheme organised by Hong Kong Internet Registration Corporation Limited (HKIRC). The scheme is co-organised by the Office of Government Chief Information Officer (OGCIO) while the Equal Opportunities Commission (EOC) serves as the independent advisor. This website is best viewed in Internet Explorer v8.0 or above, and latest Chrome / Firefox / Safari. Users can adjust the font size of this website with their browser’s re-scaling tool. This facilitates users with special needs to read the content more clearly and easily.